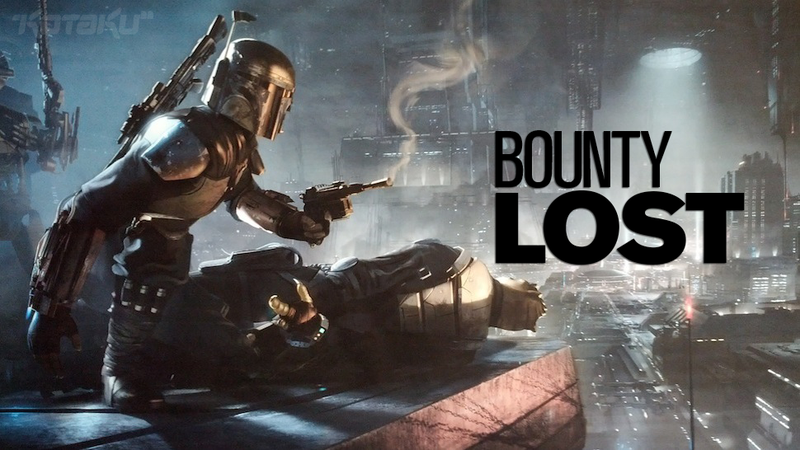 We've learned a great deal about Star Wars 1313 over the past few months, and today we've got one more huge detail thanks to a reliable Kotaku source: last year, just before E3, LucasArts shifted focus and turned it into a game about the masked bounty hunter Boba Fett. This happened last May. Star Wars creator George Lucas looked at 1313—which at that point had been scrapped and refocused multiple times—and told the team he wanted it to be about Boba Fett, the mercenary whose origins as a clone were revealed in the Star Wars prequel movies. You can see concept art from this version of Star Wars 1313 above. Boba Fett stands over someone who looks a whole lot like Bossk, a lizard-like bounty hunter who Fett has apparently captured. They appear to be in the seedy underworld of Coruscant. Sadly, LucasFilm cancelled the troubled game yesterday, when they shut down LucasArts, the 30-year-old video game studio responsible for 1313, among many other games. Although LucasFilm has said that 1313 and the studio's other cancelled game, Star Wars: First Assault, could be licensed out to other developers, I've been told by multiple sources that chances are very slim. Development on the game had been on hold since last fall, as we reported in February. "They ended up with movie tech that wouldn't fit in a game, and game tech that wouldn't fit in a movie," a source told me. "1313 was always in danger of not being made." Bad news for Star Wars fans. For now, here's some more concept art, depicting Boba Fett among a group of other soldiers or mercenaries.